A brave man and a brave poet. 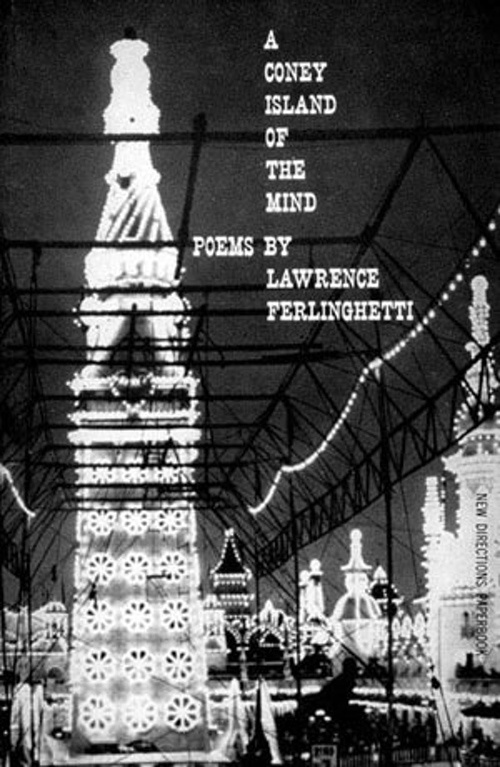 The title of this book is taken from Henry Miller’s Into the Night Life and expresses the way Lawrence Ferlinghetti felt about these poems when he wrote them during a short period in the 1950s—as if they were, taken together, a kind of Coney Island of the mind, a kind of circus of the soul. A Coney Island of the Mind is not about the geographical Coney Island. The author intended it as a sustained metaphor or allegory of modern life. As a social phenomenon Coney Island of the Mind is truly remarkable. With roughly a million copies in print, few poetry collections come anywhere close to matching its readership.